In Kleinarl you will find a relaxed and peaceful atmosphere. There are some nice restaurants and cafes in the village. 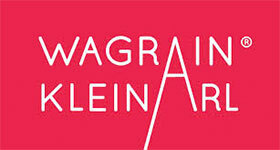 For more exuberant après-ski you will need to go to Wagrain or Flachau. The village is high up on the mountain in a real Schneeloch and on average there is much more snow than in other places in the Alps. It might rain in in Wagrain but snow in Kleinarl. It is not without reason that one of the villagers is well-known. Kleinarl is the place of birth of Anner Marie Moser-Pröll, winner of the gold medal in the downhill at the Winter Games of 1980. She now has a restaurant on the Shuttleberg located on the downhill slopes of the ski area. The village is only a 15 minutes drive from the A10 motorway Salzburg – Villach. It is accessible by the Kleinarlerstraße from Wagrain. The bus that continues from Wagrain to the Jägersee (ligt Kleinarl daartussenin?) passes through Kleinarl every hour and there is a stop at the doorstep of the Stockham accommodations. The Robinson Club hotel chain, with a reputation of having hotels only in the most beautiful places on earth, has fallen for the beauty of the valley of Kleinarl, where, on the outskirts of the village, they have a beautiful hotel. Summer in Kleinarl means nature, lush meadows, wide forests, enchanting scenery, fresh mountain light and crystal-clear lakes and streams. All under the scenery of the local mountain of Kleinarl, the “Ennskraxn”. The bergbahnen of Kleinarl are situated on the outskirts of the village. Kleinarl has 4 lifts and is connected to the lifts of Flachauwinkl. The ski resort of Kleinarl is centrally located in “Ski Amade”. 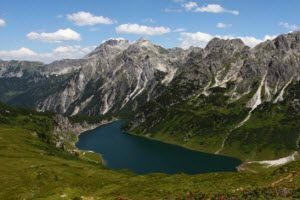 There is a direct connection to Flachauwinkl and Zauchensee. 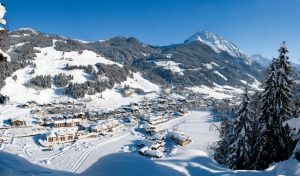 The ski resort of Wagrain, which is connected with Flachau and St. Johann im Pongau, is just a 10 minute drive. Wagrain is a cozy village situated at the bottom of the valley of Kleinarl with two major ski mountains:the Grafenberg and Grießenkareck. It is known for its iconic lift the G-link that connects the two mountains. The village lies at the bottom of the Kleinarlerdal with a direct road to Kleinarl. 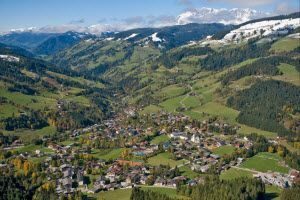 The village is easily accessible from the A10 motorway (10 minutes) and the road to Pinzgau N311 (15 min to Zell am See). In the slightly higher area of Kirchboden you will find Wasserwelt Wagrain, where young and old can recreate all year through. An excellent alternative for a day of winter sports. There is a parking on both sides of the highway. 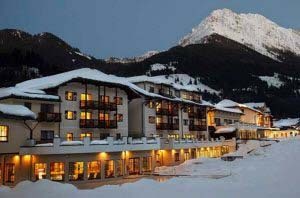 One parking lot offers direct access to the ski resort of Flachauwinkl and Kleinarl. The parking lot on the other side provides access to the ski resort of Flachauwinkl and Zauchensee. 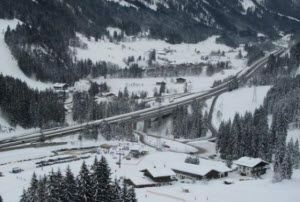 The Flachauwinkl Flachauwinkl ski areas are more challenging than those in the neighboring town of Flachau. Not surprisingly this is the home mountain of none other than ski legend Hermann Maier. In high season the slopes of Flachauwinkl are quieter than those of Flachau. The Jägersee is a beautiful lake at the end of the Kleinarlerdal. The cross-country trail ends here and guests can sit back and relax in the Jägerseehaus. 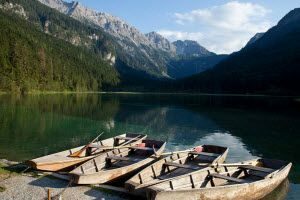 A beautiful walking trail runs around the Jägersee and leads to the Tappenkarsee, which is a 4 hours walk. The Tappenkarsee is located high in the Alpine mountains. It is a picturesque lake surrounded by high peaks. Here the clouds disappear before the sun. The most famous mountain is the Glingspitze (2433 meters). According to an ancient legend, in the depths of the lake, a tapeworm is steadily eating its way through the rocks of the natural reservoir. One day this will result in water flowing across the valley of Kleinarl. Looking for a place to stay in Kleinarl? Do you want to discover the valley of Kleinarl? See the precious lakes and their beautiful surroundings with their own eyes? Book an overnight stay at our accommodation, and you are assured of a carefree holiday.